CSE Industry Day 2017 was held on 27 May 2017. It is a half-day event intended to foster relations between the Department and IT industry, deepen the understanding in the need of future IT leaders and receive feedback on work performance of our CSE students as well as graduates. 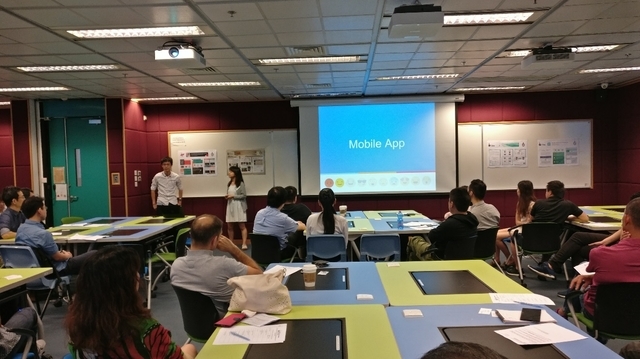 On the day, industry partners were invited to the event to help give comments on the selected FYP presentations and also were invited to participate in the Industry Forum to share their views on the CSE curriculum and the CSE interns/graduates they have experiences working with. 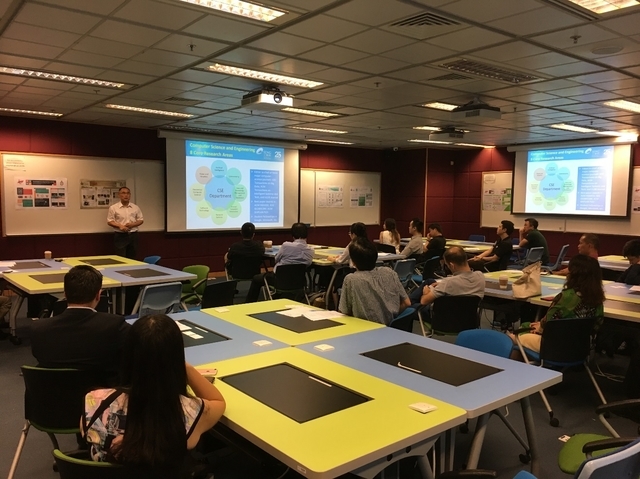 The event was started by Prof. Qiang Yang's introduction of the department including the latest development and the students' statistics to the industry partners. Following the introduction session, 10 selected FYP groups had presented their FYP projects to the participants and the industry partners had given comments on the FYPs. The event was concluded by the Industry Forum with discussions on selected topics between CSE faculty representatives and the industry partners.